The year is 1900. Life expectancy is 47 years. Almost all hospitals in the U.S. are nonprofit institutions founded by religious organizations. More people die in war due to infection than in battle. Fast-forward to today. 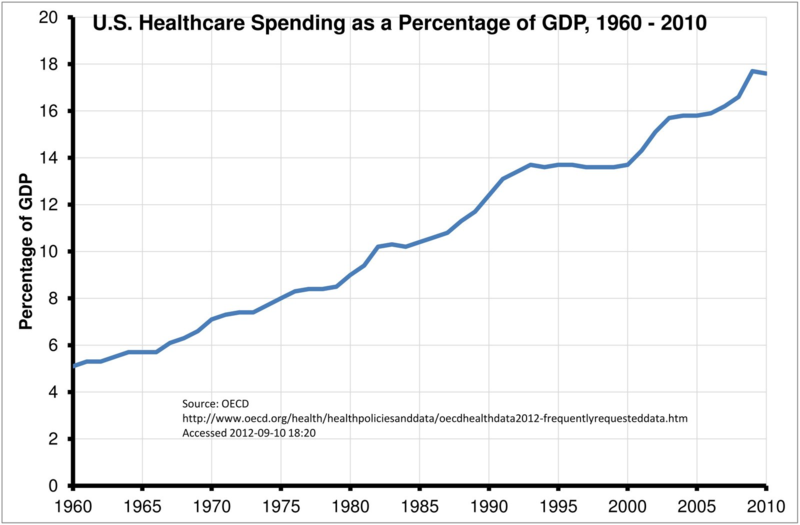 Healthcare in the U.S. has ballooned into a massive industry worth $3 trillion. 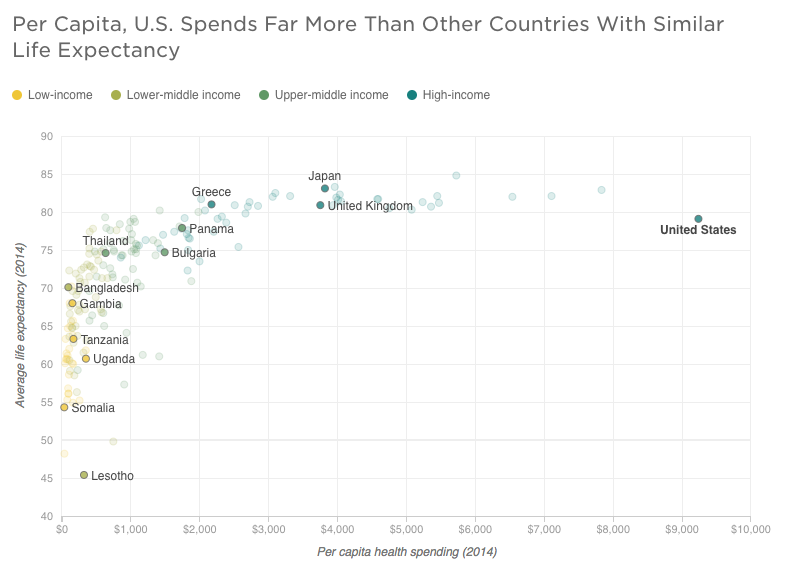 The United States spends approximately $9,237 per person for healthcare, roughly three times more than most other first-world countries. And yet, all that spending has not resulted in superior outcomes. While the graph above is striking enough to spur anyone to immediate action, the implications of this unsustainable growth in expenses and what can be done to stifle it are not as clear. We can only solve the problems that we can see, and most entrepreneurs don’t have experience working in healthcare, almost by definition. Take the story of John Crowley, who started Amicus Therapeutics after his two children were diagnosed in 1998 with Pompe disease — a severe and often fatal neuromuscular disorder. In his drive to find a cure for them, he left his job in management consulting and became an entrepreneur. He became founder and CEO of Novazyme Pharmaceuticals in 2000, a biotech startup conducting research on a new experimental treatment for Pompe disease, which he credits as ultimately saving his children’s lives. His story is nicely told in this interview with Tim Ferriss. Many founders working in healthcare today, like John Crowley, have personal ties to their companies. However, if we have to rely on new healthtech companies being born out of personal frustrations with the status quo, think of how many opportunities will go undiscovered. I deeply believe the biggest reason we don’t see more entrepreneurs in healthcare is because they don’t understand the problems, and they don’t know where to start. For all that spending, ($3.2 trillion in 2015) healthcare is largely a neglected and feared investment class — and for good reason. Healthcare is littered with heavy regulation, counter-intuitive payment incentives and deep-rooted politics. It’s far from a free market. Policy wants to move toward a market-based model, but consumers haven’t had a choice in 50 years. There is strong evidence to show that things are moving in the right direction. Appointed by Barack Obama, Aneesh Chopra — who served as the first Chief Technology Officer of the United States, has accomplished a lot to change the healthcare culture. He helped launch initiatives inviting innovation in healthcare, such as Open Innovator’s Toolkit, Argonaut Project, Startup America, Healthdata.gov, Open Data Conference (which I attended and wrote about), the “Blue Button” program and more. Today, as NavHealth chief executive, Aneesh remains focused on a future where health data is unlocked from the vaults of electronic health record companies and is made accessible to patients and innovators to create value. Large and massively inefficient $3.35 trillion market, and growing. Big regulatory shocks are happening, creating market openings for new players. 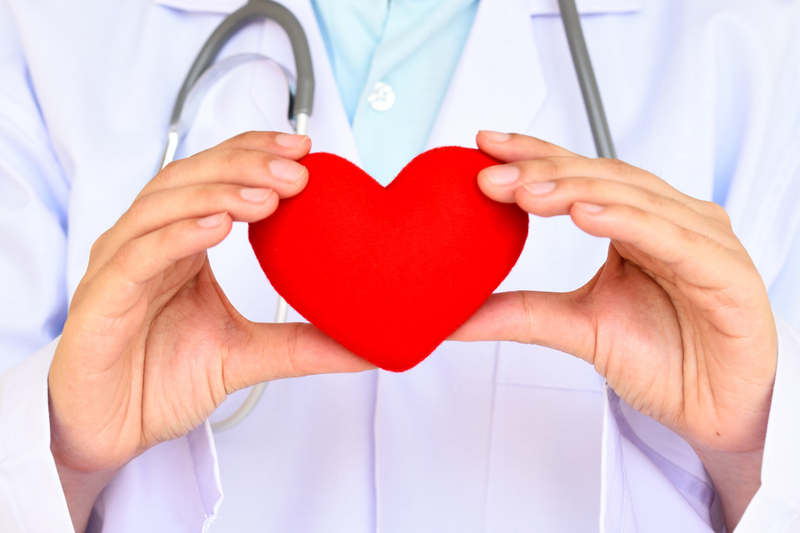 Below are a few prescriptions for different facets of the healthcare market. These aren’t solutions that are currently on the market, but hopefully they may inspire a new generation of entrepreneurs to seek their own cures along similar lines. Problem: Only about 30 percent of adults have an Advance Care Plan (ACP) expressing their wishes for end-of-life care; however, having an ACP significantly reduces costs to Medicare and other insurance plans — upwards of 60 percent. Opportunity: Build a web product that makes it easy for people to create advance directives, easily access them anytime and share them with clinicians or family members. This would give peace of mind to patients and families while saving a significant amount of money for Medicare and other healthcare plans. In 2011, Medicare spending reached close to $554 billion, which amounted to 21 percent of the total spent on U.S. healthcare in that year. Of that $554 billion, Medicare spent 28 percent, or about $170 billion, on patients’ last six months of life. While patients have every right to dictate their medical treatment in their final days, their family members tend to have a “do whatever it takes” mentality. What they don’t realize, however, is that “doing whatever it takes” has huge costs and consequences of its own. When doctors use ventilators, intravenous fluids, heavy medication and dialysis machines to sustain a patient’s life, that patient often finds their identity and independence all but vanishes as they slowly fade away in a cold, clinical setting. As our senior population continues to expand at its fastest pace in history, there is a growing need for end-of-life planning services that help patients and their families prepare for their final days. A few early-stage companies are working on facilitation and storage of advanced directives, like MyDirectives and Everplans. Tangentially, companies like Grace are beginning to enter the market, positioning themselves as tech-enabled “concierges” for people planning for, and recovering from, the death of a loved one. On January 1st, 2016 Centers for Medicare & Medicaid Services (CMS) released a CPT reimbursement code allowing providers to bill Medicare specifically for advanced care planning conversations, making now the perfect time to enter this industry and build something meaningful. Problem: Hospitals are fragmented and compartmentalized with few processes for tracking patients beyond their walls. 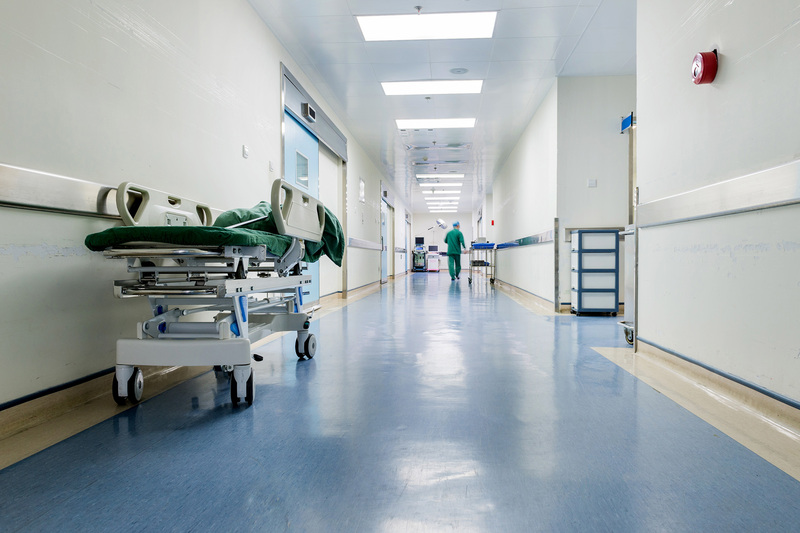 At the same time, our government (CMS) is financially incentivizing hospitals and skilled nursing facilities (SNF) to reduce hospital readmissions and post-acute cost. Opportunity: Provide hospitals a (software) tool to gain visibility into the patient’s path after they transfer to an SNF/Rehab (and beyond). If hospitals knew which post-acute providers had the lowest readmission rates, they could better direct patients and save money. This opportunity falls directly in line with healthcare’s shifting philosophy from fee-for-service to value-based care. Hospitals are going to work with post-acute providers that perform the best and most efficient care. Medicare spends more than $62 billion on post-acute care, or 15 percent of their total budget. In the future, as patients move from one level of care to another (say from a hospital to a rehab clinic to a SNF and so on), there will be a system for tracking performance of those facilities. Today that doesn’t exist. A few structural realities make this especially interesting — hospitals have leverage over SNFs because they supply all the referrals. A hospital could make it mandatory for an SNF to use their patient tracking system in exchange for referrals. Once the system is in place, it would act as a feedback loop similar to other rating platforms, like Yelp, Lyft or Airbnb. Companies like SilverVue are early to market, but there is a lot of work yet to be done and the playing field remains wide open. Problem: Collecting patient health diagnostic data is a manual process and a lack of data makes it difficult for doctors to turn it into actionable recommendations. The hardware exists and insurance often covers it, but no one has aggregated it and made it easy for doctors to analyze. Opportunity: Bundle health diagnostic hardware together and build the software to generate simple health reports for doctors. Most patient-provider interactions occur at the doctor’s office and often have a sense of urgency as the doctor rushes to see as many patients as they can. This is not the ideal time and place to collect data — this time should be spent using the health reports to talk to patients about health suggestions. 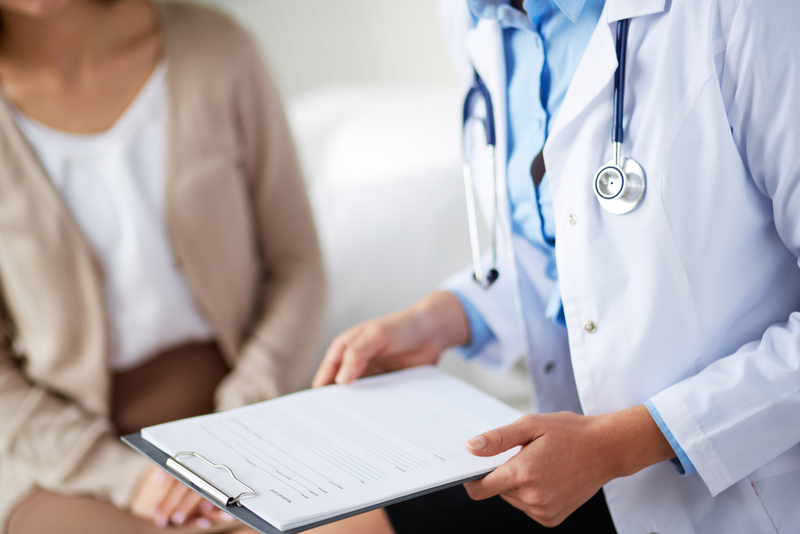 Likewise, it’s not always practical for patients to visit doctors for routine diagnostics, especially if the patient has limited mobility or no availability during the doctor’s office hours. This is where health tracking hardware can play a much bigger role. Patients should be using devices that are specifically tracking the health data relevant for their condition and that data should be seamlessly uploaded to the cloud so software can analyze it and present trends to doctors. For example, most diabetics take their own blood sugar samples every day, manually. Many of those readings simply vanish and never get recorded. 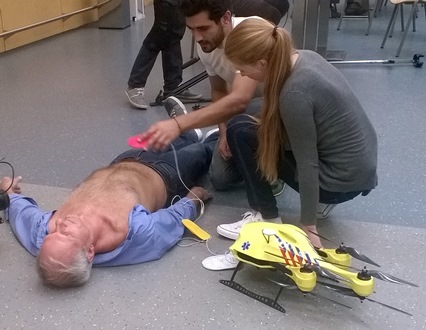 Instead, that data could be communicated back to the patient’s physician or stored in the cloud for future retrieval. The improvement to patient health with increased adherence and reduction of wasted doctor time is very valuable. The bigger idea down the road is to use this data to detect trends and adverse events before they happen. One notable company, Noteworth, has made significant headway, but lots of opportunity still exists. Problem: Health systems struggle with patient logistics inside the hospital. Hospitals struggle with patient delays, mis-staffing providers and general operational challenges. Opportunity: Tracking the exact location of patients within the hospital walls can help reduce delays, increase department cooperation, prevent disease spread and other far-reaching implications. 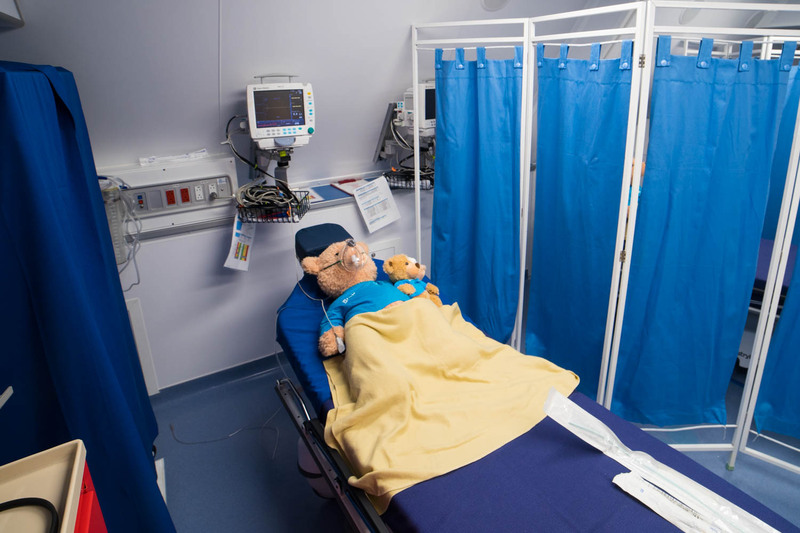 Hospitals themselves are hectic environments with many moving parts, so much so that care decisions often fall through the cracks and cause harm to patients. A weighted average of four studies indicates an estimated 210,000 deaths per year are associated with preventable harm in hospitals. Large hospital systems are complex, multi-building organizations that could benefit dramatically from technology that helped case managers and directors on the floor get a high-level overview of their staff and patient flow. Tracking locations of clinical workers and patients helps highlight areas of need or surplus in the hospital and optimizes patient flows across the system. Technically, this can be accomplished with beacon technology worn on the back of identification badges and it would disable when people walk outside the hospital. 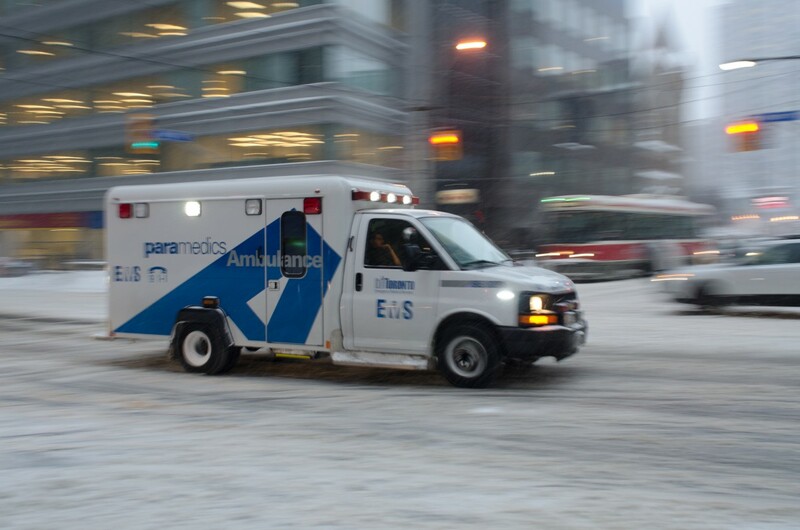 Problem: Ambulances are very binary — there is no middle ground. They are expensive ($2,000 per ride) and often people have to pay a lot of that out of pocket. Many times ambulances go out and find they are not needed, which comes at a huge expense to hospitals. Opportunity: An app that can be an alternative to a 9-1-1 phone call. The ability to triage and categorize the incoming call, with the ability to upload (pic, video, stream). The idea here is to better triage the incoming incident, assess the need for assistance and possibly offer a lower level/lower cost response team. While 9-1-1 is an invaluable public health service, it isn’t exactly cost-effective for the patients. 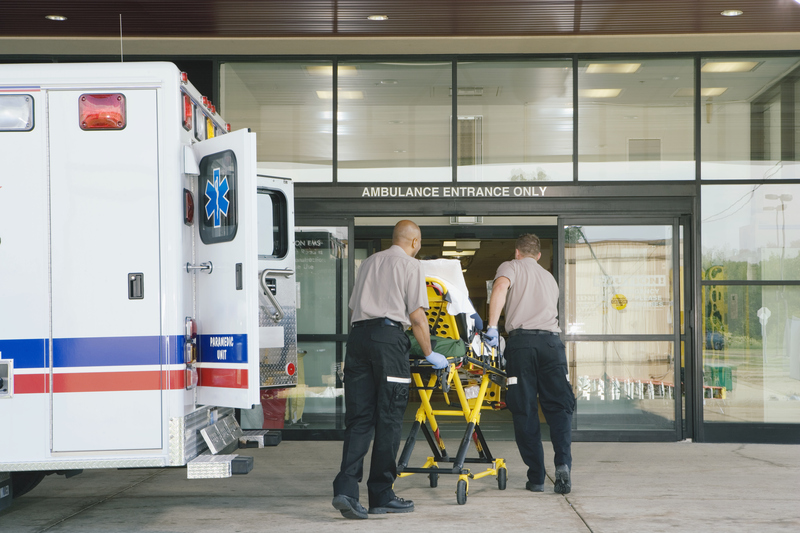 According to the U.S. Government Accountability Office, ambulance services cost patients roughly $200 to $2,200+ per use — expenses that often come out-of-pocket if the patient has a high deductible healthcare plan. In many cases, these services aren’t even required. A 2009 study by the National Association of Emergency Medical Technicians estimated that one in five medical-related 9-1-1 calls were “non-life threatening.” The ambulance shouldn’t be the default option for dispatchers in 100 percent of the medical calls they handle, yet there is no Tier 2 option today. I believe an opportunity exists to create an Uber-like app platform of “certified” emergency responders throughout a city. These EMTs would receive notifications from 9-1-1 dispatchers regarding an emergency near them. They’d be able to reply confirming or denying their ability to get to the scene fast. Of course, there are situations where an ambulance is absolutely needed, but a network of low-cost distributed EMTs would be a faster and more efficient way to reach people in need. 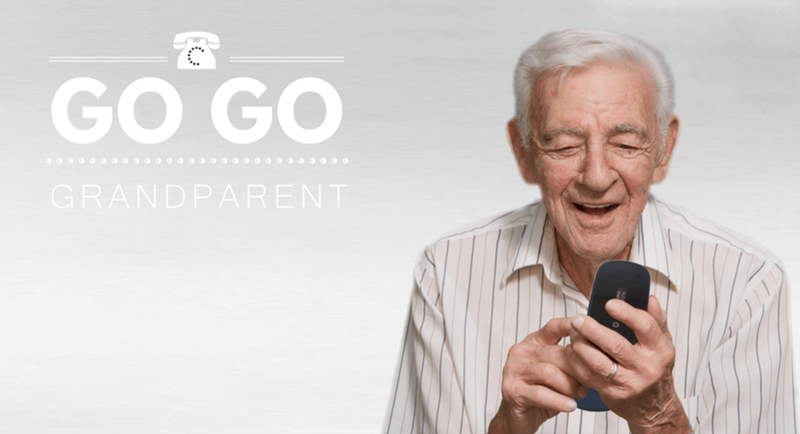 Problem: Lack of technology in caregiver management throughout the public sector results in huge wasted resources that accompany a paper-based operation. Opportunity: Create a simple process so caregivers can clock into shifts with a mobile app and reliably receive electronic payment. Each state has unique systems for distributing Medicaid money for home care. In California, In-Home Support Services program (IHSS) is the primary mechanism and they track all hours worked on paper time sheets that get mailed to a factory in Chico, CA for processing. When 65,000 IHSS time sheets went missing in Los Angeles County after a mail truck mishap in the spring of 2015, thousands of caregivers working for California’s IHSS weren’t paid for weeks or even months. The gaffe was a mind-boggling demonstration of bureaucratic incompetence, especially in a world where electronic scheduling and payment tools are standard in the private sector of home care. There exists a huge need for someone to develop specialized tools to help these public programs run more efficiently and at a lower cost. Anyone who’s worked in the public sector knows just how slow state and federal agencies are to adopt new technologies, which is why there’s a massive need for new tools and workflows to enter this space. Until then, there’s nothing stopping another fiasco like this where thousands of home care workers go unpaid. Problem: Tracking resident schedules and communication is frequently managed manually with a paper-based system. Communication among residents is difficult and the system is prone to mistakes. 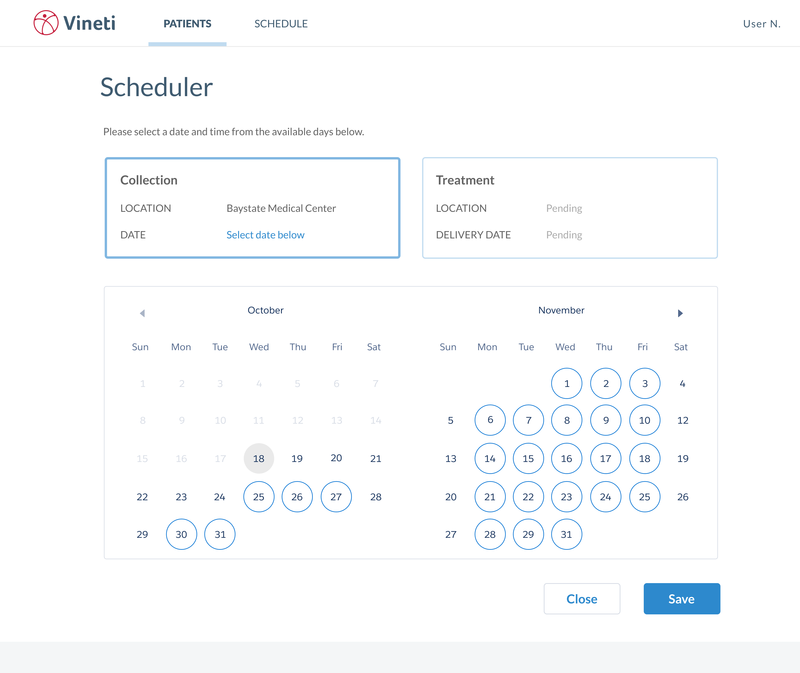 Opportunity: A scheduling platform specifically for residents would benefit stressed out residents and their attending physicians, as well as lead to better patient care. Chief residents who are in charge of managing residents struggle with fulfilling availability requests and keeping schedules up-to-date. This makes for frustrated residents (who are already drastically overworked), leading to increased risk of a negative patient experience due to a scheduling mistake. For Children’s National Health System, which serves 120 pediatric residents covering 30+ sites in different combinations, staff availability and vacation requests are coordinated entirely by hand. “The situation currently can only be described as a giant and impossible puzzle,” said Amy Fan, MD, resident at Georgetown University Hospital. There are a few players competing in this space, Medhub and New Innovations, but neither seem to be widely adopted. OhMD — a HIPAA-compliant texting app — is intelligently targeting their marketing efforts towards residents, the youngest and most innovative thinking of all doctors. Eventually they or someone has the potential to grow into a full scheduling platform for residents. The big picture here is getting residents to love your software and then expand to other functions throughout the hospital (doctor to doctor messaging, patient to doctor messaging, nurse scheduling, etc.). 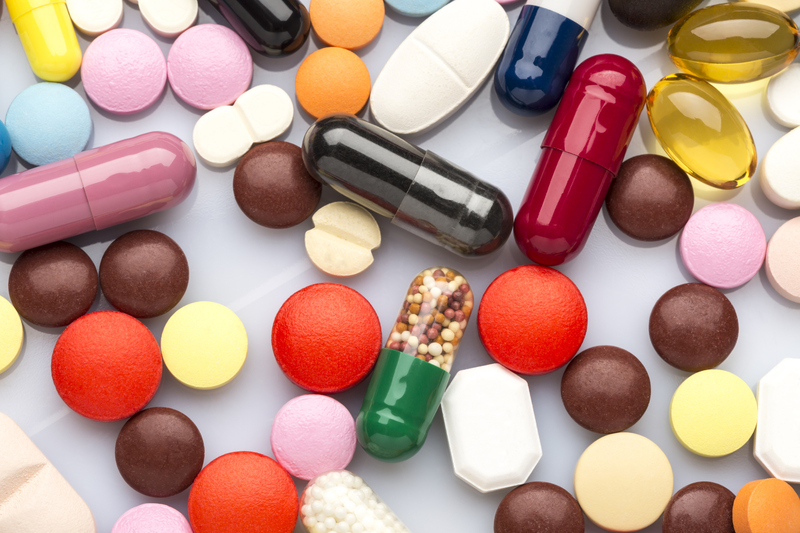 Problem: Wrong medication, wrong time, wrong dosage and noncompliance are just some of the major issues for patients taking multiple medications. The detrimental effects and costs of medication mix-ups in the elderly population is a huge problem. Opportunity: Create a platform of trained people that can go into the homes of seniors and do medication reconciliation (med rec). For many years, the traditional daily pillbox has been the go-to standard for patients looking for an intuitive way to arrange their medication. Companies like TowerView Health and Tricella are developing pill boxes that detect and store patient adherence behavior, while others like PillPack and ZipDrug are developing more intuitive packaging and delivery options to take out much of the confusion of medication management. But even tools like those largely leave room for error as patients continue to take other old drugs and remain responsible for correctly separating their weekly medication. I believe an opportunity exists to build a network of low-cost medication reconciliation specialists. These specialists would go into the homes of patients soon after they’ve been discharged from the hospital. They would do a 30-minute audit of the medicine cabinet and make sure the patient or caregiver understands which pills to take at what times. Dispatching would be efficiently handled through the app and specialists would efficiently be able to see about 10 people per day. If you’re thinking that in-home visits are inefficient and costly, consider that the U.S. spends $20 billion on preventable medication errors and each admission to the hospital costs $9,700 on average. Also consider that leading health systems like Cedars-Sinai and Kaiser Permanente are so desperate to avoid hospital readmissions they are sending nurse practitioners (with salaries of $100,000) into the homes of patients to do med rec. If someone came to hospitals (and progressive payers) offering a managed service with an easy to use technology layer, it could be a game-changer. Problem: Medicaid fraud is a big problem in many parts of the country. Caregivers submit time sheets for shifts they didn’t work, leaving the disabled and elderly home alone. Opportunity: Electronic Visit Verification (EVV) monitors locations of caregivers, which should significantly reduce fraud. In the last few years, Texas and Illinois mandated the use of EVV technology, which exploded the demand overnight. In 1996, Michelle Boasten, RN, designed and created the first clinical documentation information system for home healthcare and coined the term EVV. Two decades later on June 1, 2015, the Texas Health and Human Services Commission mandated that electronic visit verification be used for all home healthcare visits billed to the state. This put a forcing function on the industry to adopt EVV technology and states across the country will likely soon follow by implementing similar EVV mandates. Regulatory mandates to adopt technology usually create a mad dash to build and sell as fast as possible; I believe that is the scenario here. Being that this area of healthcare doesn’t get a ton of exposure, the competition isn’t very high. There are a few software vendors, CareWatch and myGeoTracking, but this market is still very much up for grabs. There is an opportunity to build a much better product on the market to manage specific state and federal reporting requirements, use GPS to track caregivers, automate payroll and optimize the matching of staff. All of this would increase the efficiency of the home health agencies, as well as reduce Medicaid fraud by providing detailed evidence of the services provided. Problem: Insurance reimbursement is vague, confusing, manual and seemingly ambiguous to patients and providers. Patients often don’t know if procedures will be paid for by their insurance or not, which is incredibly frustrating and costly. Opportunity: Offer a simple tool to private practice providers giving them access to patient copay and deductible information. Arguably the biggest frustration of running a private practice medical office is dealing with payment. Patients want and deserve simple answers to how much their copay and deductible will be for their procedure, yet this information is notoriously difficult to obtain. Front desk staff often spend over 30 minutes on the phone calling insurance companies trying to gather this data. It’s a frustrating manual process that can and should be automated. Real-time eligibility APIs such as Pokitdoc or Eligible allow developers to gain access to health insurance information, but small private practice offices don’t have the capability to integrate these APIs. A simple SaaS solution that gives private practices access to patient copay and deductibles would save lots of time and money. This is a problem not just for primary care doctors, but dermatologists, dentists and other segments, as well.